We are seeking motivated individuals (couples welcome to apply) for our 2019 growing season (April through November). Interns work closely with the owners in all aspects of the farm operations. The internship requires approximately 55 hours of work per week (5 – 5 1/2 days per week), plus assistance in daily chores and meal preparations, in exchange we offer lodging (a private room in our house), all food, and a $650-800 monthly stipend (based on experience). Internship duties will include seeding, transplanting, cultivating, harvesting, washing and packing produce as well as assisting with greenhouse management, soil management, pest and disease control, irrigation setup and operation, cover cropping, mulching, and various biological methods of fieldwork. We also have daily and weekly duties for the poultry. Chores include feeding, moving houses, setting up net fencing, and collecting and cleaning eggs. Our poultry is slaughtered on the farm, entirely by us and our crew 3 times throughout the season. 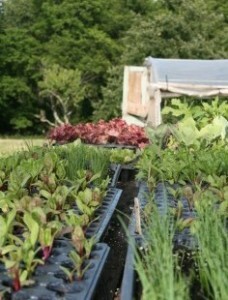 We also have on-farm events periodically throughout the season which include either our CSA members or the public. 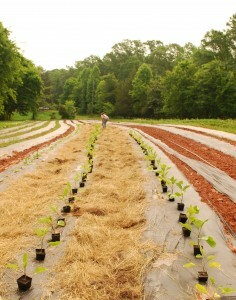 Interns are asked to help lead these volunteer crews as well as participate in our farm dinners and other events. We are looking for an individual with a strong work ethic. One that enjoys doing physically taxing work (must be able to lift 50lbs), even in adverse conditions. Previous farm experience is not necessary, but experience with physical labor or outdoor work is a must. The summers are very hot and humid in Southside Virginia and although we do our best to schedule hard work for the cooler times of day, this job requires a positive attitude and the will to work through difficulty. Other necessary skills include the ability to learn quickly, take direction well, pay attention to details, and multitask. Our quality standards for our produce and poultry are very high so we are looking for an individual that works efficiently and attentively with an interest in developing their craft as a farmer. Email us at info@tomtenfarmva.com if you are interested in applying for a position. Please include information about yourself, a resume, references, and any questions you may have.